Did you know that we also create marketing materials for businesses at PosterBurner? It’s true! We can turn your logo and business images into marketing posters, banners, decals for your vehicle/walls/windows, mousepads, t-shirts, and more. I’ve seen some pretty cool business marketing projects being shared across the internet lately. So, I thought it would be fun to gather together a few of my favorite ideas to share with you. Posters have been used to promote events since the early 19th century. They remain an essential advertising medium, even with the advent of the internet and social media. The right poster design can increase brand awareness and drive traffic to your business, and they don’t have to cost a fortune. Check out this Canva article on how you can design your own event posters. Designing a promotional poster or banner for your biz is an easy and inexpensive way to create high-quality advertising that gets your business noticed! This article from Wikihow does an excellent job of breaking down each step of the marketing poster creative process. You can spread a bit of inspiration around the office by designing your own motivational posters in three easy steps. 1. Decide which one of your favorite inspirational or motivational quotes you want to use. 2. Find an image that fits your quote. 3. Design your poster at PosterBurner. We’ve made it super easy to quickly create your own inspirational design with our Motivational Template option. You didn’t think I’d leave you hanging ?? with no way to display your poster, did you? 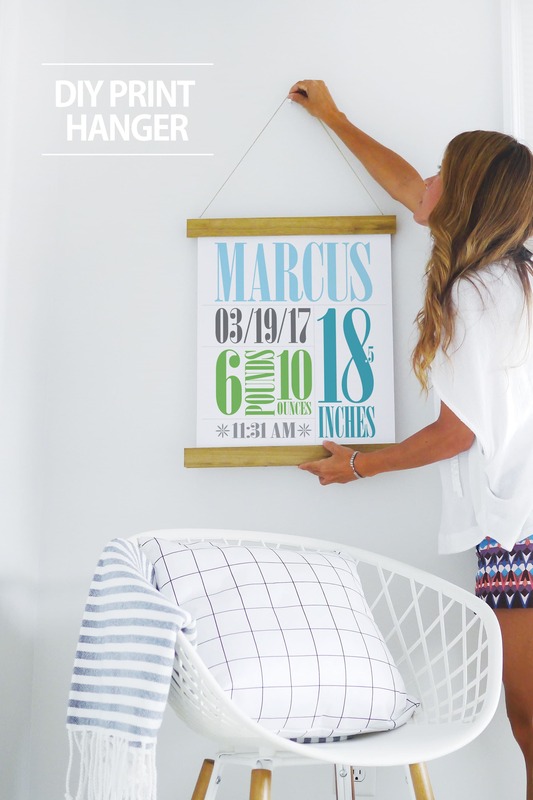 This DIY poster hanger is easy to make (hey, even I can do it), affordable, and can be painted or stained to match pretty much any décor. Another bonus is that it uses magnets to attach the poster to the hanger, so it doesn’t damage your poster. This acrylic framed poster project is perfect for a minimalist, contemporary display. I like the way it keeps the spotlight on the content and not the frame. Don’t let the designer look fool you. Although it might look complex, if you can use a drill and a level you can create this inexpensive, high-end look yourself. We can turn almost any image into a stunning custom poster because we use cutting-edge imaging and print technology to get the sharpest image possible. Our goal is to turn every image into a poster that is a unique work of art you are proud to hang on your wall.